Via Twitter, Governor Palin throws her support behind Angela McGlowan from the state of Mississippi. McGlowan is running for Congress, and if anyone can shake Washington up, she can. She is bold, bright, and a breath of fresh air. She is unapologetically pro-God, pro-life, pro-family, and pro-Second Amendment. She understands that government works for the people, not the other way around, and she wants Washington to be held accountable in every way, particularly in the area of spending, which is completely out of control. 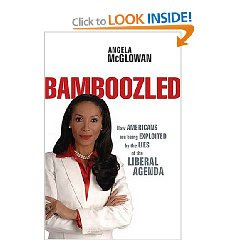 Angela McGlowan represents true change. There’s no surprise, therefore, that Governor Palin would root her on in today’s primary election. Read more of my thoughts about Angela McGlowan by clicking here and here. Once again, take a look and listen at her speech at the Nashville Tea Party Convention in February. Is there not a fire in this woman’s belly?! WOW!!! TEAM, I AM SO HONORED TO RECEIVE THE SUPPORT OF GOVERNOR SARAH PALIN!!!! Gov Palin’s second Facebook Note of June 1, 2010 addressed purposeful distortion of the Israel Flotilla story by the mainstream media, specifically those outlets with leftist and/or anti-Israel leanings. Gov. Palin preceded her Note with a Tweet, urging her followers to read columns written by Charles Krauthammer, David Horowitz and others regarding the flotilla incident. US for Palin author Gary P. Jackson detailed how terrorist Bill Ayers and Obama’s top campaign bundler Jodie Evans are activists involved with the flotilla group. The second paragraph of Gov. Palin’s Note synopsizes the flotilla incident nicely. In paragraph three, Gov. Palin goes on to delineate precisely how humanitarian aid to Gaza works. In her closing paragraph, Gov. Palin exhorts the Obama administration to stand by Israel. Anyone who continues to harbor doubts about Gov. Palin’s knowledge of foreign affairs can lay them to rest. Gov. Palin has clearly done her homework on this issue. Unfortunately, Obama’s handling of foreign affairs has been less than stellar, to put it kindly. I share in Gov. Palin’s hope that he’ll stand by Israel, but I honestly would be very surprised if he does, for Obama has demonstrated numerous times that his loyalty lies elsewhere. Palin: Is it Any Wonder we Call Them “Lame”? Gov. Palin posted a Facebook Note on June 1, 2010 which described in detail how NBC twisted and distorted a printed statement she had supplied them. NBC sought an interview with Gov. 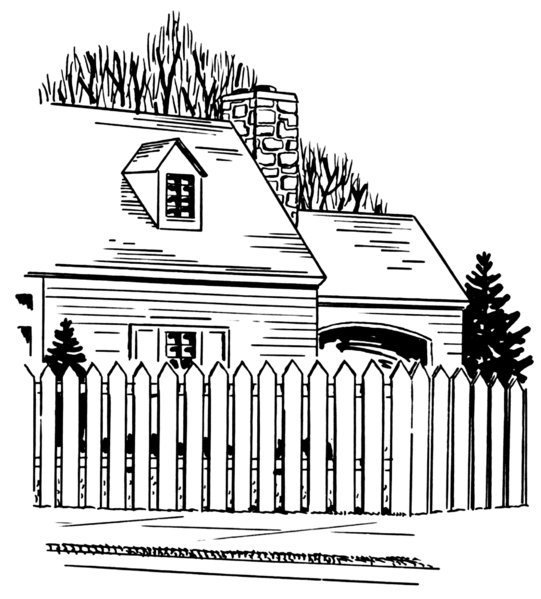 Palin and her husband Todd regarding the fence they built to protect their border from stalker Joe McGinnis. NBC promised Gov. Palin to run her statement as a full-screen graphic, then broke their promise. Par for the course with an agenda-driven media. It’s one thing to distort or misrepresent words as they’re spoken, especially if the subject is a fast talker. Cub reporters covering their first few stories do it all the time, and even veterans do it. Distorting a printed statement that was supposed to run without modification is not an innocent mistake. It is a malicious act. NBC and MSNBC are well-known to have harbored malice toward Gov. Palin in the past, so this is just the latest in a series of hit pieces they have done on her and her family. Gov. Palin is actually someone outlets like NBC, MSNBC and the AP love to hate for as much as they hate her, they love the mega ratings dollars she brings. Gov. Palin also details in her Note, the Alinsky tactic used by McGinnis, in which he accuses her of “inciting hatred.” Not addressed in the Note, but equally as disturbing was the “flipping the script” allegation made by McGinnis in a People Magazine interview that “Gov. Palin is stalking him”. Report the Facts! Leave out the Rest! Report the facts! Give us the facts to shape our own opinions. It Any Wonder Why We Call Them “Lame”? It may seem like a small thing, considering the state of the union and international issues of the day, but let me share some facts surrounding a most recent illustration of the untrustworthiness of America’s mainstream media. Yesterday, Todd and I spent our Memorial Day evening exchanging emails with NBC in regards to the interview they conducted this morning with our new neighbor. As you’ll recall, the “journalist” Joe McGinniss moved all the way from Massachusetts to Wasilla – literally right next door to our home – after tracking us down in various forums this past year, so that he could be close to his “subject matter” while he writes his book about me. NBC responded to thank us for our statements and again promised that they would “make sure” that the Today Show airs both of our statements “as a fullscreen graphic during the segment tomorrow.” We were grateful because we knew that our statements would counter any accusation of “inciting hatred.” And boy was it necessary because in his interview on NBC this morning McGinniss doubled down on his accusation to actually compare us to the Nazis! But there was just one problem: NBC broke their promise and didn’t run our statements after all. So, the “journalist’s” sensational claims about us being Nazis went unchallenged. We emailed NBC this morning to ask why our statement wasn’t aired. We were given a lame excuse and told that they would run it tomorrow (after the damage had been done) and that they would be happy to interview me about it (which was their aim all along because journalism today is all about ratings and not about truth). The interview itself was quite an eye-opener. I’m not sure what “ugly innuendo” was in my Facebook post or why it is so controversial to suggest that the presence of a hostile “journalist” writing a hostile book about me is an imposition on my children who simply want to enjoy their summer outside. When I say or write “leave my kids alone,” it means simply that: let my kids have a fun summer without having a “journalist” 15 ft from their play area. How that equates me with the Nazis is quite beyond me. If receiving nasty emails and even death threats is the standard by which we judge “inciting hatred,” then the left in this country has been “inciting hatred” on my family for almost two years now. We don’t complain about this or call people “Nazis” because we value freedom of speech enough to believe that even ignorant and hateful people have a right to it. It’s a shame that a self-proclaimed “journalist” doesn’t understand this. And it’s a shame that Todd and I had another disappointing encounter with the media on Memorial Day of all days. It was time that we could have spent with our kids and on a day when we honor those who have died in defense of our Constitution, including our freedom of the press. Freedom of the press is integral to our democracy, but reporters must be held accountable because with power comes responsibility. A corrupt, deceptive, and manipulative media can ruin the lives of good people, disrupt families, destroy reputations, and ultimately hurt our country. I’d like to believe that it’s not too late to demand integrity from our media. Thank goodness for social networking sites like this and new media sites which have allowed us to get around the “lamestream” media and present the facts. But let this story be another example of why you must seek out facts and truth about anything and everything you see reported today. The most talked about fence in the country and the author cited as the main cause for the 14 ft. fence that’s become known as “The Great Wall” made its way onto NBC’s Today Show Tuesday morning. Joe McGinniss, the controversial author, who has moved next door to the subject of his next expose, Sarah Palin, has many questioning his move. Is it immersive journalism or stalking? McGinniss, who also gave an interview to the Washington Post’s David Weigel, told Matt Lauer he would live in the house if the Palin’s lived on the moon. McGinniss claimed he needed to be in Wasilla to do his work and that his work is not to be in the house. He said he “couldn’t care less about her kids,” and was not there to observe the Palins. His goal is to talk to the people who have lived in Wasilla for 40 years, who know the Palin’s best and can trace their evolution. At the very start of the interview, McGinniss got defensive as he attempted to clarify the photo posted by Sarah Palin on her facebook page of McGinniss standing on the deck of his newly rented home in which she questions, “Wonder what kind of material he’ll gather while overlooking Piper’s bedroom, my little garden, and the family’s swimming hole?” McGinniss wanted to clarify that he was not peering in on the children, that he was as far away from the Palin home as he could get (on the other side of the deck), and that he was talking on the cell phone. Matt Lauer pointed out that Palin was probably talking about what McGinniss could do from that deck, not at that particular moment. McGinniss said his wife will be moving in with him soon and his daughter and three grandchildren will be able to visit and enjoy relaxation while he works. McGinniss said, “I moved here and didn’t tell anybody outside of my family. I wanted to tell the Palins directly, personally, face-to-face, and work out some accomodation with them to live peacefully.” But McGinniss added that, “Sarah hysterically puts up this Facebook page.” He claimed it was revolting what Palin has caused people to say about him and pointed out the power Palin has to incite hatred and her readiness to do it. He compared the same kind of tactic to that of the Nazi troopers used in Germany in the 30s and said he didn’t think there was any place for it in America. The 2012 Draft Sarah Committee has produced three videos titled “Summoned” calling for Gov. Palin to run for President in 2012. The videos produced by Randy Highsmith, Chairman 2012 Draft Sarah Committee, and Ron Devito, Publisher, US for Palin, come in 30- and 60-second TV ad spots and 2:51 version. Sarah Palin has been summoned…. …Ready to smash the final glass ceiling with her sonic boom. I’m Ron Devito, Member, 2012 [spoken as “Twenty Twelve”] Draft Sarah Committee, which has approved this message.